Looking for a New Lexus GX in your area? CarGurus has 251 nationwide Lexus GX dealers with 7,686 new car listings. Driving through Mother Nature’s worst requires a capable SUV. But drivers also want an SUV with a luxurious feel, so they can ride with their families in comfort. One model that meets both criteria is the 2018 Lexus GX 460. The Toyota Land Cruiser Prado provides the inspiration for the GX 460, making it a capable off-road machine. The GX 460 begins with body-on-frame construction and a full-time 4-wheel drive (4WD) system featuring low-range gearing. Other off-road features include Crawl Control, which acts as a low-speed cruise-control system to traverse difficult terrain, and the Kinetic Dynamic Suspension System (KDSS), which disconnects the sway bar to allow for better wheel articulation when tackling a trail. While body-on-frame construction does wonders off-road, it hurts the GX 460 when it’s driven on pavement. Going around corners, the GX feels huge and shows a fair amount of body roll. The slow steering and braking don’t inspire confidence. The ride is manageable if drivers order the adaptive dampers that smooth over bumps and other imperfections with three modes: Normal, Sport, and Comfort. Without the dampers, the GX is bouncy. Power comes from a 4.6-liter V8 borrowed from the Toyota Tundra. It produces 301 horsepower and 329 pound-feet of torque and gets paired with a 6-speed automatic transmission. 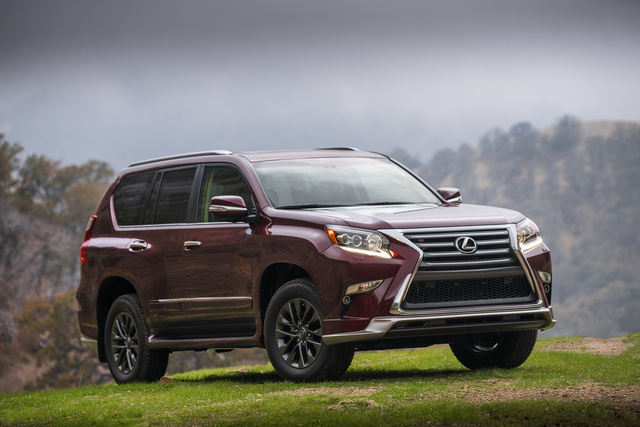 The V8 takes time to get up to speed, partly due to the GX 460’s curb weight of 5,130 pounds. Fuel economy isn’t impressive, with EPA figures of 15 mpg city, 18 highway, 16 combined. The GX 460 borrows heavily from the design of the larger LX. The polarizing spindle grille that Lexus has introduced on all its models catches the eye, along with LED headlights. The side profile shows off a large glass area and 18-inch alloy wheels. The back features a set of clear taillights and a rear hatch that swings out; this makes loading and unloading cargo somewhat difficult in tight spaces or when parallel parked. The Lexus GX 460’s interior is acceptable, but it falls short when compared to competitors. This can be attributed to various materials not seeming to match a vehicle starting at just over $50,000. Depending on the trim selected, the seats will come upholstered in Lexus’ NuLuxe faux leather or semi-aniline leather. Those sitting in the front seats will feel quite comfortable and like the power adjustments. The second row can be equipped with a bench seat or a set of captain’s chairs if drivers opt for the Sport Design package. An 8-inch touchscreen with the Lexus Enform infotainment system comes standard. However, the system looks out of date when pitted against competitors and lacks features such as Apple CarPlay and Android Auto. But reviewers note the system is very easy to use thanks in part to the physical buttons around the screen. A backseat entertainment system is available as an option to keep passengers engaged on a long trip. Standard safety equipment on the GX 460 includes antilock brakes, traction and stability control, a reversing camera, full set of airbags, and Lexus Enform Safety Connect telematics system. Optional features include blind-spot monitoring, rear cross-traffic alert, lane-departure warning, and forward-collision warning. Additional advanced safety features include Driver Attention Monitor, which aims to reduce collisions due to driver inattention by working with the pre-collision system. The GX 460 hasn’t been tested by either the National Highway Traffic Safety Administration (NHTSA) or the Insurance Institute for Highway Safety (IIHS). 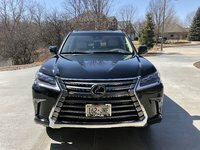 What's your take on the 2018 Lexus GX? GuruYK86S Substandard Technology for Lexus. I went from a 2013 Infinty JX35 to a 2018 GX 460 and lost 10 years in technology. 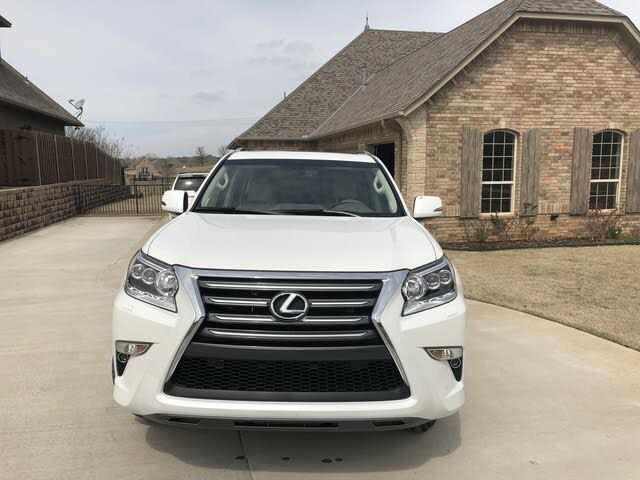 Have you driven a 2018 Lexus GX? Enter your zip to see incentives for a new GX in your area. CarGurus has 6,152 nationwide GX listings starting at $15,995.